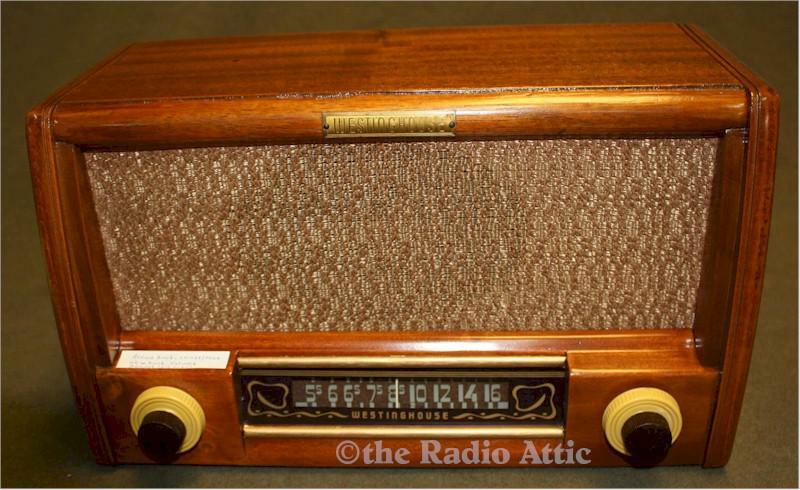 Here's a very nice Westinghouse H-157 table radio from 1948. Fully restored in its original color, (at least as I received it) with original knobs and grille cloth. This is a very handsome little table set with surprisingly good audio due to the push-pull audio outputs which I replaced with a nicely matched pair. It is fully recapped, with resistors as necessary and fully aligned. Decent reception with the internal antenna. Unique dial trim. Put this on the kitchen cabinet and tune in an AM station to bring back the good old days of mom whipping up a hearty breakfast to the sounds of the 50s. You are visitor number 693 to this page.